How Do I Choose the Best Waterproof Sunscreen? Waterproof sunscreen should provide protection against UVA and UVB rays. SPF 50 is generally considered the most effective sunscreen. 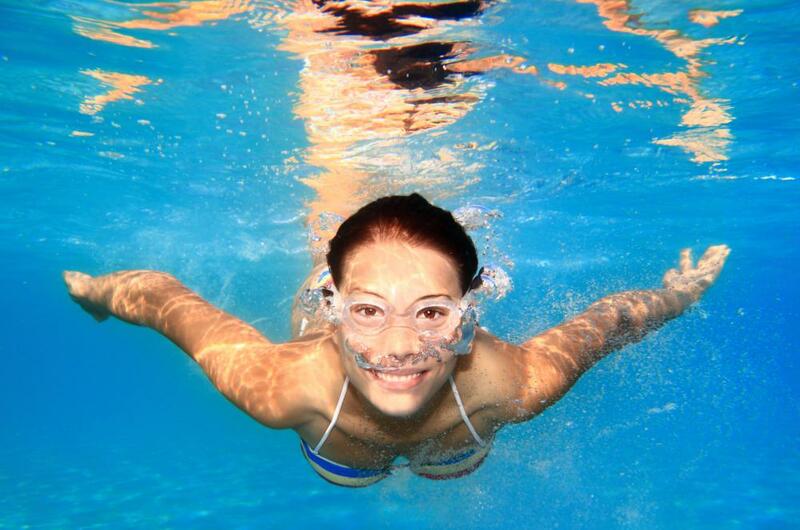 People can get sunburned even when swimming under water. 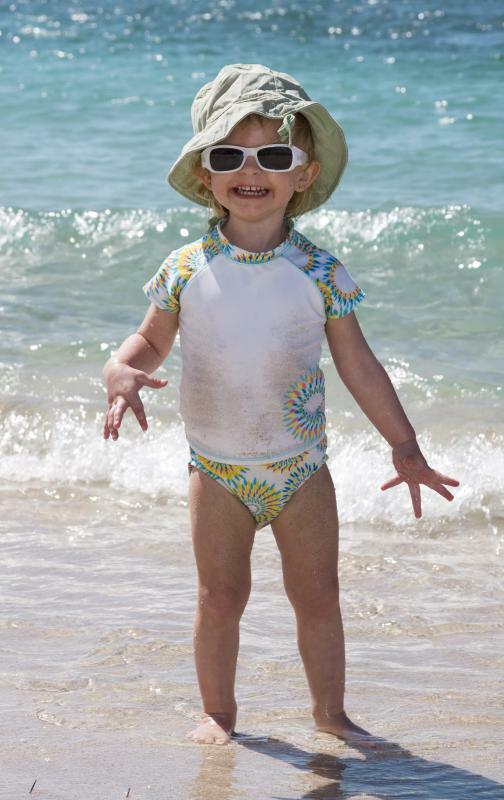 Experts recommend that children wear waterproof, broad-spectrum sunscreen to protect their skin from the sun's damaging rays. Whether swimming, snow skiing, or lounging on the beach, participating in outdoor activities of almost any kind puts you at risk for uncomfortable sunburn or at the worst skin cancer. Staying in the shade and wearing clothes that cover the skin can help you can avoid skin damage to some degree, but wearing waterproof sunscreen will take your protection to another level. When choosing sunscreen, you should first look for a product that will protect against ultraviolet A (UVA) rays and ultraviolet B (UVB) rays. Other factors to consider before purchasing a waterproof sunscreen is if a product has the desired Sun Protection Factor (SPF) and is appropriate for your skin type. For the best protection against skin damage, you should choose a broad spectrum sunscreen. This type should give protection against both (UVA) and (UVB) rays. UVA rays can cause premature aging and wrinkling, while UVB rays are the culprits behind sunburn. Both types are known to cause cancer. Simply avoiding sunburn does not ensure that you are not at risk for skin cancer, so it is wise to avoid both types of UV rays. The SPF for sunscreen measures the amount of protection that it offers against UV rays. For instance, an SPF rating of 15 offers 15 times the protection of untreated skin. SPF ratings of below 15, however, have not been demonstrated to reduce incidence of skin cancer or premature aging. A rating of 50 is generally considered the most effective, with higher ratings not producing significantly better results. In 2011, the US Food and Drug Administration (FDA) passed regulations requiring SPF to accurately reflect protection against both types of UV rays. Technically, no sunscreen can be 100% waterproof or sweat-proof. The 2011 FDA regulations require that "waterproof sunscreen" containers should be relabeled, indicating that they are actually "water-resistant." This new labeling should indicate the length of time for which the product has been shown to be resistant, typically either 40 or 80 minutes. In order to make sure you get the maximum amount of water resistance from your waterproof sunscreen, you should apply it 20–30 minutes before entering the water or engaging in activity that might cause you to sweat. Your individual skin chemistry may also influence your sunscreen choice. If you have dark or olive skin, you may be able to get away with a lower SPF or less expensive sunscreen, but if your skin is fair, a higher SPF may be worth the investment. 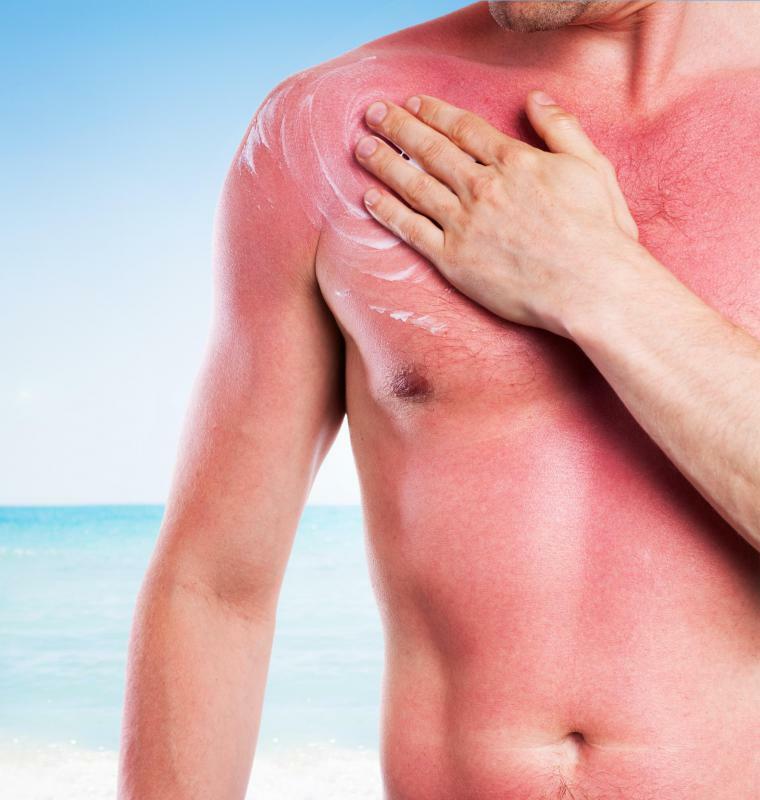 If you have sensitive skin, you may want to choose a hypoallergenic waterproof sunscreen, since certain chemicals in sunscreen can cause some people to experience an itchy, burning sensation or swelling known as photo-contact dermatitis. Some companies also market oil-free sunscreens, especially designed for the face. How Do I Choose the Best SPF 50 Face Cream? What Are the Differences between Sunscreen and Sunblock? What Is the Connection between Sunscreen and Cancer? How do I Choose the Best Suncreen for Rosacea?